My portrait is of a friend of mine, Tim Ness, whom I've known since secondary school in Perth. He has modelled for many of my Mythological works and had been posing as the Greek hero Odysseus and the God Pan for other larger narrative pieces. The jacket, bought as a prop because of its military look, has featured in many of my paintings of Odysseus. 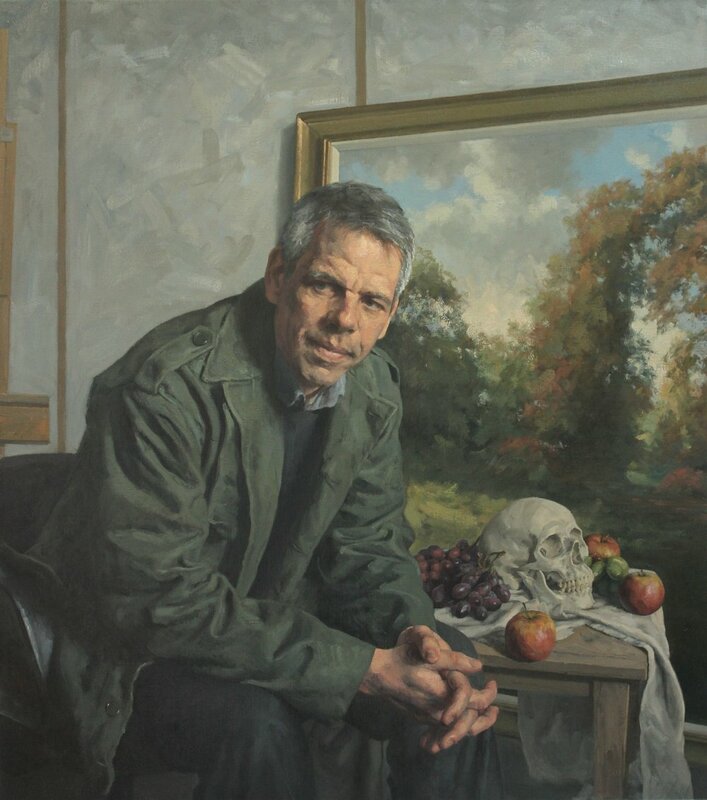 The forest painting in the background, the grapes and skull, relate to Pan. He was associated with Dionysus, God of wine, and was also the only God known to have died in Greek mythology.